United Vacations doesn't just offer vacation packages to international destinations, we offer great vacations in the United States. New York City, the "Big Apple" and the largest city in the U.S., is an experience that must be had. From historic and architectural landmarks like the Empire State Building, the National September 11 Memorial and Museum, Ellis Island, and the Statue of Liberty to Broadway theater productions, world-renowned museums, and the arts, a New York City vacation places you in the center of it all. 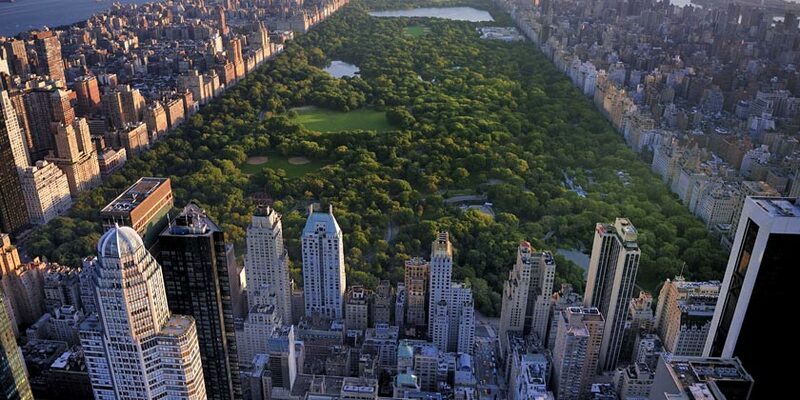 Explore Rockefeller Center, Times Square, Central Park, and the Bronx Zoo. Take tours by double-decker bus, pedicab, horse-drawn carriage, or boat, or walk the many districts touting fashion, theater, and commerce. The finest chefs in the world direct the kitchens at eateries throughout the city, ensuring every meal will be outstanding. Treat yourself to shopping on 5th Avenue from high-end luxury designers. Book your next vacation to New York with the superb routes offered by United Airlines today. This is The Lion King. The winner of six 1998 Tony Awards, is the story of a young lion cub who struggles to accept his destined role as king. Create you own sightseeing itinerary with the New York City Hop-On Hop-Off Tour! Everything you need to see New York with freedom and independence! A vivid reimagining of the classic The Wizard of Oz, Wicked spotlights the untold stories of Oz's most famous (or infamous) characters. This behind-the-music story of Frankie Valli and The Four Seasons will take you from the streets of Newark to the heights of stardom. Resort info: Overlooking the sights and sounds of Fifth Avenue, this upscale hotel is a New York City landmark. Resort info: Striking the balance between its storied past and limitless future, The Plaza Hotel in New York City is the ultimate luxury lifestyle destination. Resort info: Synonymous with luxury and excellence, this 259-room hotel is a worldwide symbol for the finest in facilities, dining, and services.